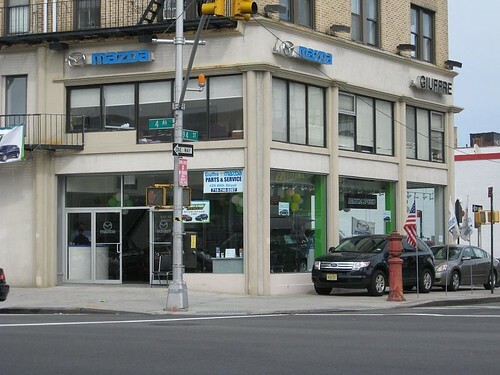 This entry was posted by Jennifer on December 8, 2008 at 8:10 pm, and is filed under Filming Locations. Follow any responses to this post through RSS 2.0.You can leave a response or trackback from your own site. Thanks for your nice comments! 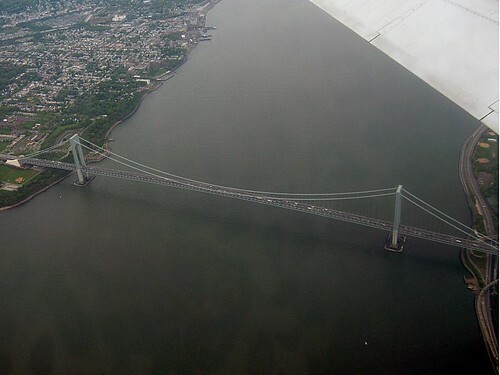 I grew up in Connecticut, but since New York is so close, we always made trips to the city and love it. I moved away, so now, each time I go back I try to see and do something a little different. I love finding movie locations so I thought I’d try this one. It was fun and I’m glad you liked it! I’m from San Francisco and did a “Saturday Night Fever” tour in 1992 but it was random, I sure wish I had all the info you have on this site back then because I didn’t know exact locations. 2001 was still open though, although it had become a gay club and was renamed. Glad I got to see that while it was still there. I’m so pleased to see that much of the neighborhood has stayed the same. Thank you so much from a big SNF fan who saw the movie at least 15-20 times in the theater when it came out, I was 15 years old. You’re very welcome and I’m so glad you enjoyed the SNF locations! I had fun doing it, so it’s always nice when people enjoy it! We are visiting New York in February (we are from the UK) and as a long time SNF fan, I would really like to visit some of the locations. 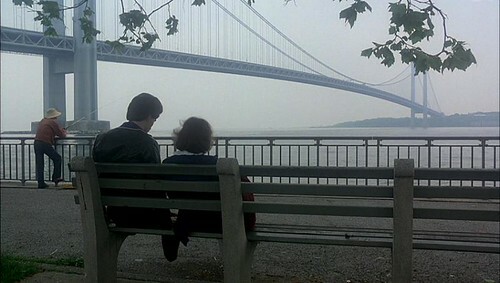 In particular the bench below the bridge where Tony comforts Stephanie. You say this is in a park below the bridge, I would really appreciate if you could let me know where this is (ie: which side of the bridge) as I would really like a photo of my wife and I on the bench. 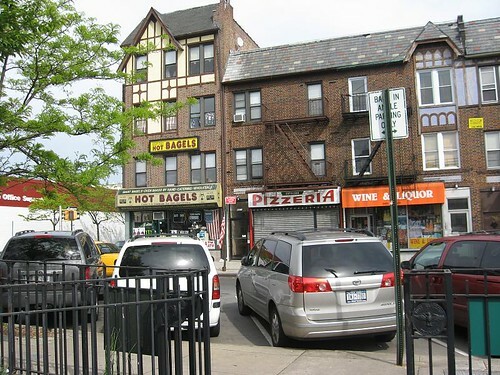 I’m in Bay Ridge. Really nice job! To start with I was born in Brooklyn and have lived here almost my entire life. For someone who didn’t live here you did a really great job with the movie locations. 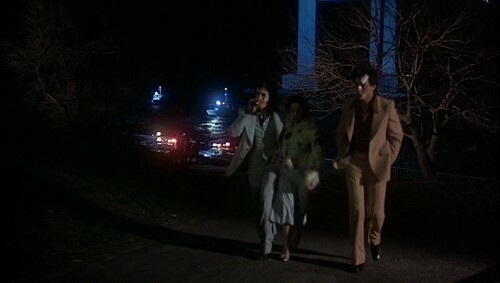 Although I don’t recall any filming for Saturday Night Fever, I do remember when they filmed the opening scene to the Welcome Back Kotter title sequence showing the train passing the high school. 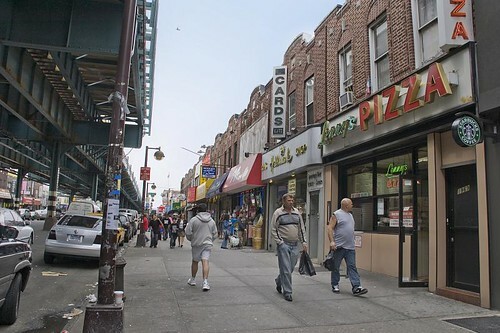 Which coincidentally is just a few blocks from Lenny’s Pizza (80th Street and New Utrecht Avenue vs. 86th Street and 20th Avenue). 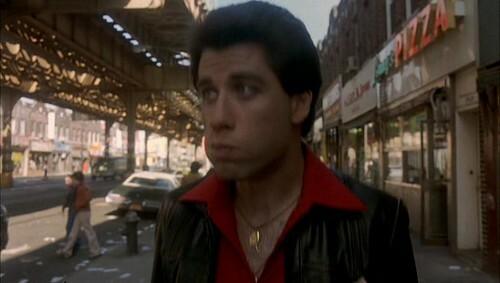 Anyway I was hoping that you could give me details as to where Tony Manero’s house was/is located. It’s always bothered me that I can’t pick it’s location out from the scenery. If you don’t want to give specifics (as to respect the owners’ privacy) could you just give me the vicinity and/or cross streets? 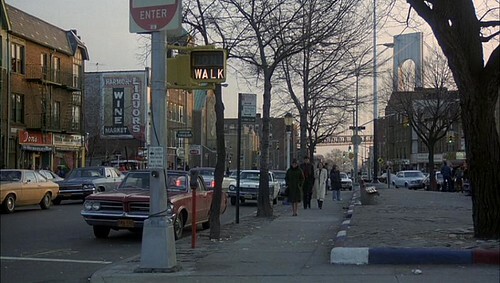 Also just thought that I would mention that right down the block from Lenny’s Pizza was filmed the car chase/baby carriage scene from The French Connection, as well as the opening scene for a Steven Sagal movie. Hello James, and thanks for the kind words! 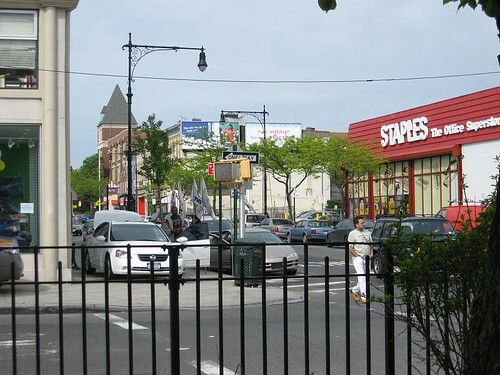 I didn’t grow up in Brooklyn (my parents lived there but wanted to move back to Connecticut when they started a family), but we went into the city often. For economic reasons, I moved from the area, but try to get back once a year to visit family. As far as Tony’s house, we opted not to go there because due to the owner’s privacy concerns, they remodeled the exterior of the house to make it look different from the film. 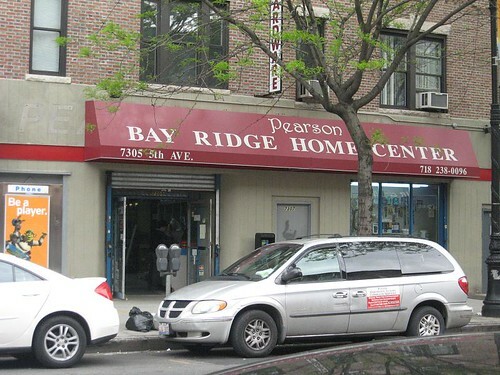 I suppose we could have taken a photo anyway to compare the film, but it was a little farther away from the other Bay Ridge locations, which were fairly condensed and we were chilly that day (read, lazy)! LOL It’s location is already on the web, so I’m not really violating thir privacy to tell you the “Manero” house is at 221 79th Street. 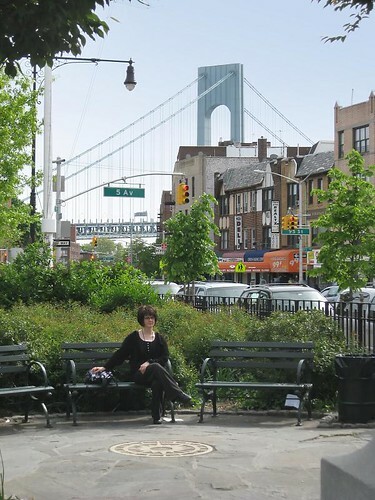 We are just back from NY we stayed in Brooklyn, Boerum Hill area- we loved it! We got the B train one day by accident and I could not believe the views from it -soo wanted to go to Bay Ridge as I knew thats where Sat Night Fever was filmed-but I did’nt know the location addresses or where to get off.I was so impressed with your photos and research as its always been one of my favourite movies. We were so tired that day we had not energy left. That was great to see that…..if we ever return…. I need go visit. Great, great shots and matching ones from the film. Love it! Thanks Nick, I appreciate that! I love it when people enjoy the results of our geeky hobby, that it’s not just for own amusement! Really cool hobby! Loved the movie and loved your revisitation. Many thanks from Chicago. Consider visiting our Windy City. Lot’O movies have been filmed here (Home Alone, Risky Business, 2010 Transformers,Last Dance (Julia Stiles), The Blues Brothers, The Untouchables (SeanConnery) and many more, and we have awesome food (smile). Hey Milt, I have done a two locations in Chicago so far. The Blues Brothers page is up, but I’ll be darned if I know where the Ferris Bueller page went! I’ll have to rebuild it I guess! I’ll have to add more to my list of things to do as time and finances permit!! Love Chicago! 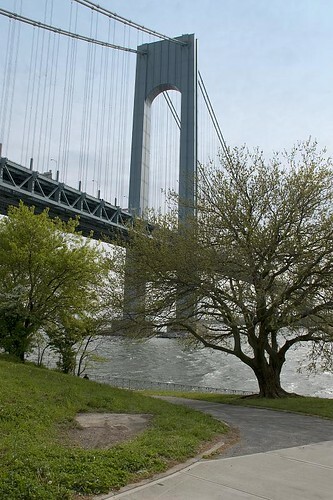 This is great, possibly my most favourite film ever, i have just got back from NY, i did visit Bay Ridge Brooklyn to see the Verrazano Bridge in particular, if i’d seen this site before i went, i would have sought out the area in more detail. Anyway well done! I’m now gonna scour my pics from that day i visited just in case i can see anything connected with SNF! Sorry you saw this site after your visit. Maybe someday you’ll get back and can explore a bit more! so glad I found this, Very nice job on showing us the changes over time. I was wondering did they film on the verazano bridge or was those scenes shot in studio. 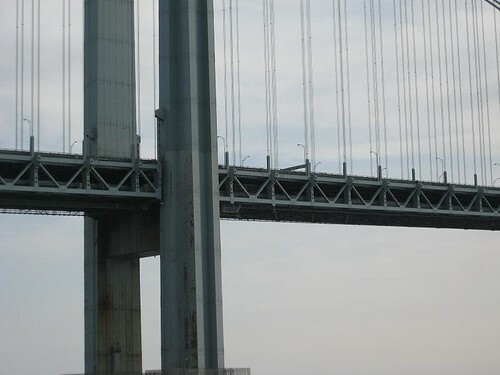 Being there is no walk way on the V B it would be hard to shut it down to film and very costly for permits. Thank you. Hi Rick, thanks! Glad you liked the “then and now” comparisons. 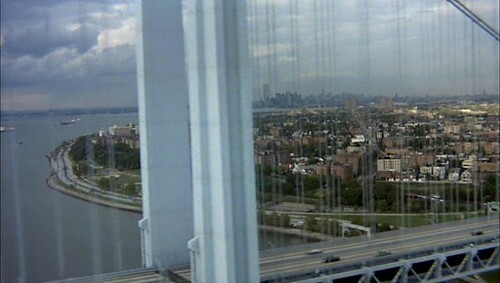 I believe I remember from the DVD bonus feature, that those movie scenes were filmed on the bridge in the middle of the night. Lucky you- you had a good life lol! yes I’m a fan too we are going to NY in Feb where I hope to check out the locations, I wish I could go back in a time machine and be part of it all. 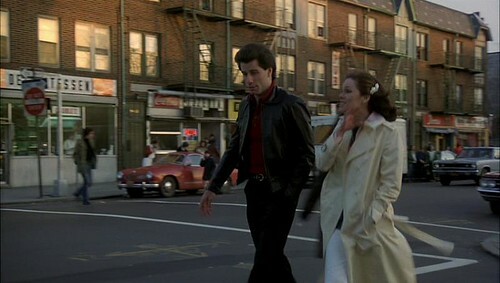 Hi Sheen , Pleas take some pictures of where Saturnight Fever was filmed. I noticed the diso tech the 2001 Oyessy was demolished. But much of the film location is still there. 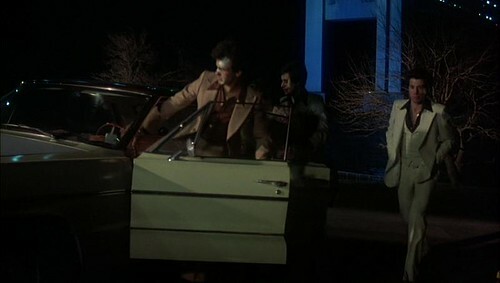 That movie was a complete dupilcation of the disco reveolution in the sevenites. 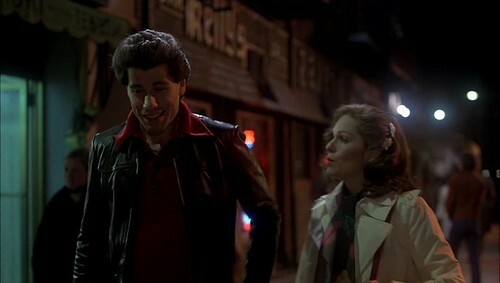 There is no movie like Saturday Night Fever . I love this movie. I rent it from the library every chance I get. It’s a shame they tore down the disco. And I heard the White Castle was also torn down. 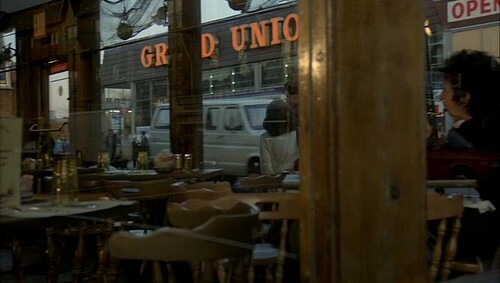 The coffee shop should have been left alone, and Grand Union should have stayed there. Thank you for sharing the photos. I heard that too about the White Castle – too bad! I wish they had left the coffee shop alone too, but I guess for whatever reason, it didn’t do well and had to close (I guess being featured in SNF did nothing for business!). Whoever took these pictures I was wondering if I can use them in my video called Hollywood was here..please let me know . Hi, my husband & I are going to USA in 2 weeks & really looking forward to walking in the same steps JT took in SNF, my all time fav actor & movie. Thanks a bunch for pics & info. awesome!. Tess, you’re welcome! I’m glad you enjoyed the photos and I’m sure you’ll have a great time visiting the locations, just as I did! Safe travels!! Great work. 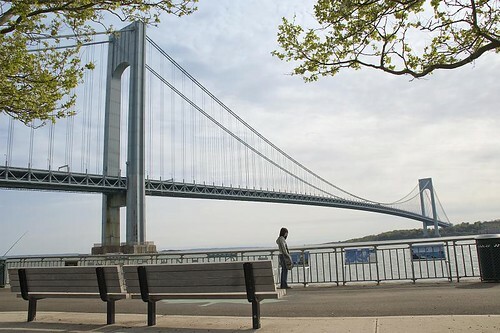 Im a big fan of the film and due to visit NYC from the UK in a few months so i will try and visit some of these locations, espec the street in the opening credits and the seat at the bridge, even if i cant convince any of my mates to come, ill just hire a cab and get him to take me. Are there any official SNF or general NYC movie locations tours worth doing? Hi there! I’m very glad you liked my Saturday Night Fever filming locations post! 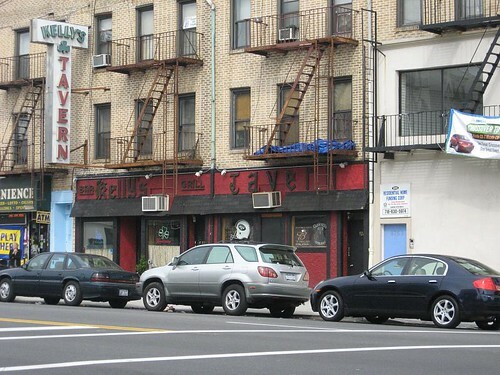 I am not aware of any organized tours regarding SNF, but I did look up and found this for general NYC filming locations, if it may be of interest: http://www.screentours.com/tour.php/manhattan/?gclid=COy7r5u61LQCFexAMgod9zkANg I cannot vouch for it any way, I just looked it up. I hope you enjoy your visit to the United States and that my blog will be helpful in tracing and walking in Tony Manero’s footsteps! 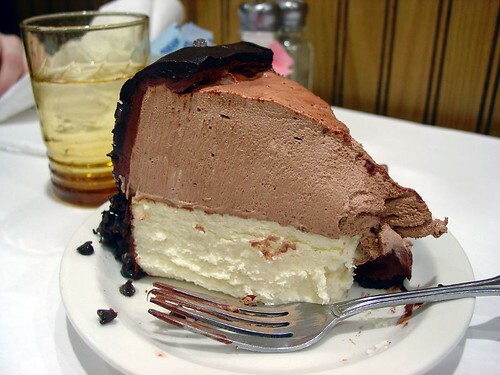 I do suggest you try to have a slice (or two, yeah two…) slices of pizza from lenny’s. I didn’t and I wish I had (maybe sometime if I go back east). But whether you have one or two, make SURE to fold the pizza lengthwise and eat it like Tony does…that’s the authentic way to eat NY pizza. Great movie. 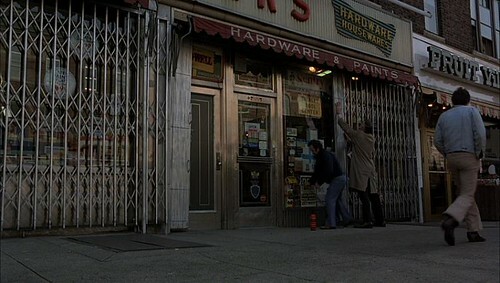 I didn’t know it was shot in bay ridge. I was there in 2015, in a nice little restaurant called Delia’s Lounge. The martinis there made my evening. Oh, good times.